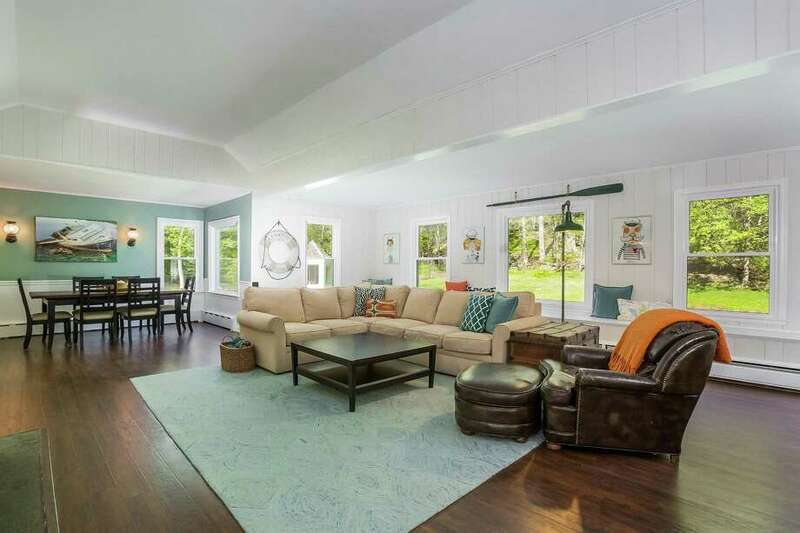 The focal point of this picture-perfect 77-year-old Cape Cod is the living room where you can relax by the stone fireplace and look out onto the water from the oversized windows. The renovated kitchen in this wondrous single-family has a granite countertop, stainless steel appliances and a subway tile backsplash. The master bedroom — one of eight rooms in this home — has views to the water and a designer, renovated bath with quartz countertops. The home sits on 4.86 private acres and also boasts a craft room for fun projects and or gift wrapping. There is a playroom for watching television or relaxation. The playroom abuts a family room, office or potential man/woman cave. There are two more bedrooms in the home. The house is set back from the street and is beautifully positioned next to a pond with an enchanting gazebo.